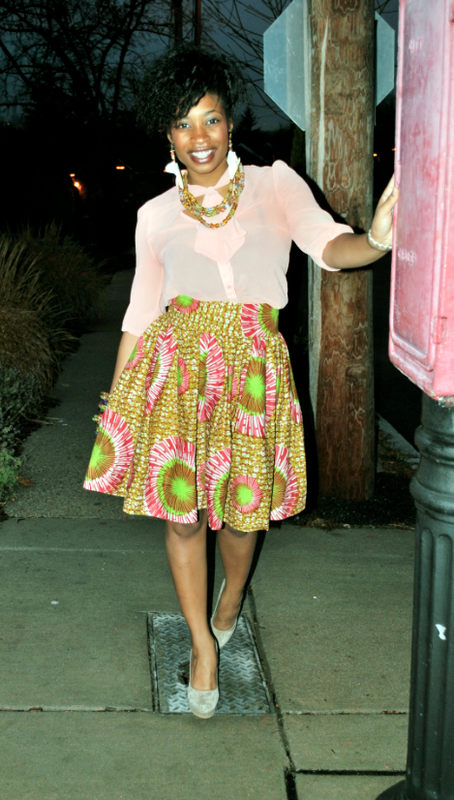 I really like the print and a skirt like this is a good item to have in your closet. How do you like Pascale’s outfit – Hot or Not? 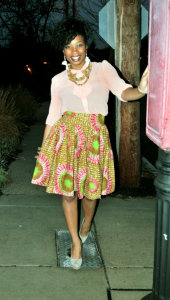 Jeminatu owns the online store Afrikinspired where she sells skirts like the one shown above. You can check-it out here! Do you have a cool pic that you want to share? Please send it to africanprintsinfashion@gmail.com.